Three weeks ago, the heavens opened, angels sang, gold rained down from the clouds, and life as we knew it was perfect. Lyle was born. Aww. Hello, Lyle. So thankful to have you here, my dear little one. Such a long, long time we waited for you. So many “dates” with Hiro, the bull. So many prayers. So many days. And here you are. You smug little thing. There are multiple reasons that I’m thankful for Lyle, the first of which is most likely the obvious: MILK. Yes, to answer your question before you ask, cows must have babies to produce milk. Just like humans. 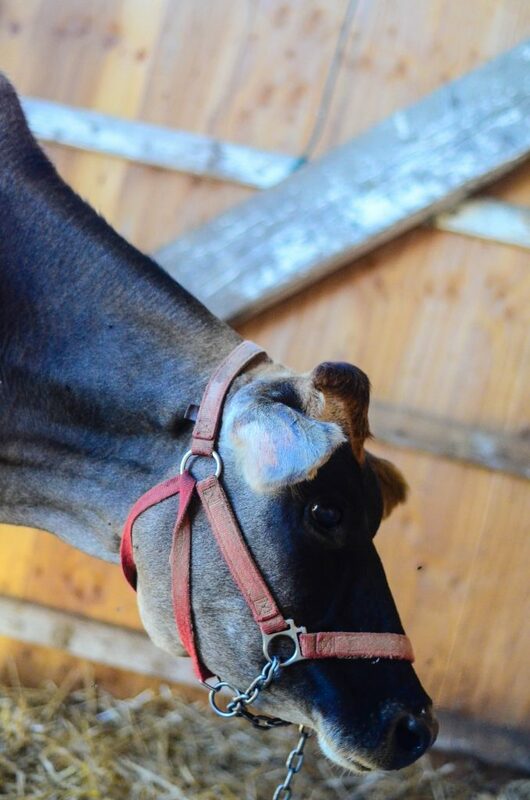 Ideally, a dairy cow would produce a calf each year. This would be enough to keep her in milk for 9 months of the year, the last 3 months would be ‘dry’ months where she wasn’t producing any milk in preparation for calving. 9 months on. 3 months off. 1 calf a year. Of course, that’s under ideal circumstances. 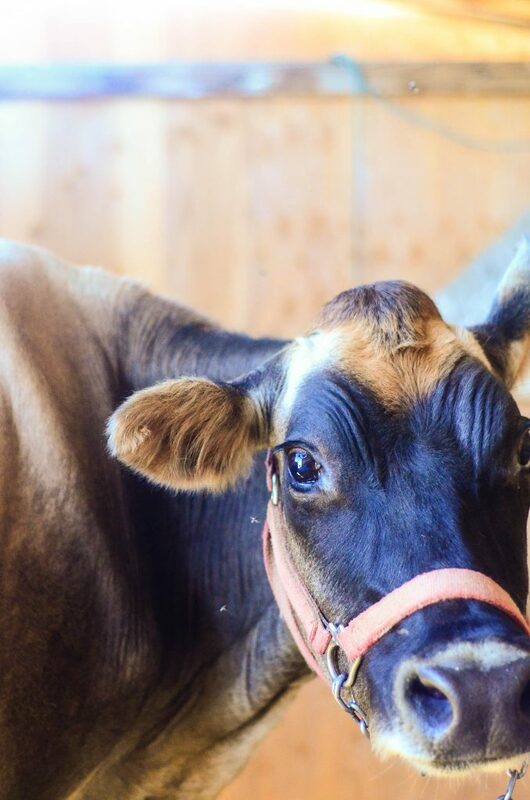 Dairy cows are notoriously hard to breed and can take months to actually settle. But we’re not focusing on that today – cow fertility is not the topic of conversation. But the milk cow is! 1. Leave The Calf On 24/7. This is what we are currently doing, at least for the time being. Lyle is still small enough that he’s not taking all she’s got, which means there’s still plenty left for us in the bucket each morning. We waddle down (I say waddle because in the morning, my bones are still stiff and I’m usually in sweat pants) to the barn at about 5:15 to milk. She gives us between 1.5-2.5 gallons each morning. Lyle is left on her all day – freely drinking as he wishes. Drink, Lyle, drink! Grow, baby, grow! PROS – I don’t have to worry about separating, providing separate waters, and monitoring their interactions. CONS – Sal reserves most of the cream for Lyle. I don’t know how she does it, but she does. The boy’s drinkin’ my butter. 2. Separate The Calf Every 12 Hours. This is what we’ll most likely need to do as Lyle starts eating more, because let’s face it, I want that cream. We will separate them overnight (12 hours ‘off’), milk in the morning, and then put them back together during the day (12 hours ‘on’). Either way, you’re still only having to milk once a day. And booya. PROS – More milk, possibly more cream. CONS – Having the constantly separate the two, which means you need separate, safe housing for both. Whatever method you chose to utilize for once a day milking, there are still some major perks to a family milk cow. And to once a day milking. 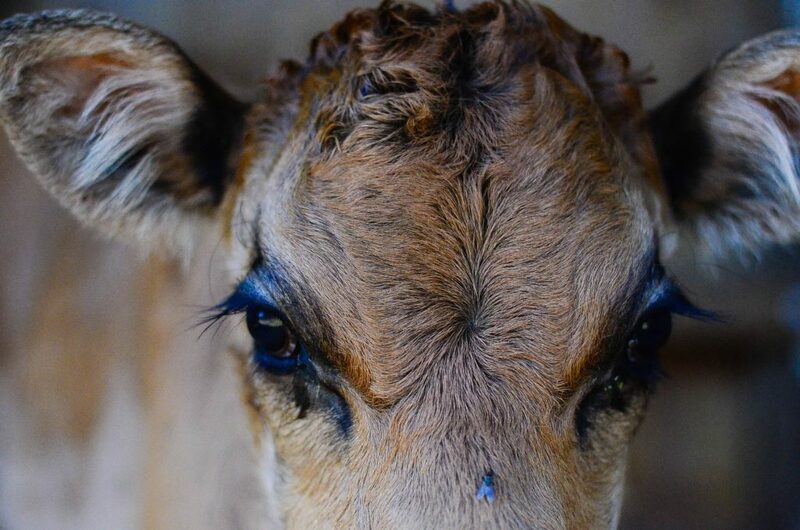 For starters, you don’t have to bottle feed the calf because it will still be nursing. Bottle feeding is fun! For 5 seconds. No thank you. For seconds, you don’t have too much milk. Yes, there is such a thing. While we loved being able to utilize our extra milk last year for fattening our pigs, because we’re hand milking, it was a labor of love to provide the pigs with such a luxury. I’d gladly do it again when Lyle is weaned and we’re in excess again, but for now, I’m happy to keep the milk we worked hard for ourselves. For thirds, you can leave for a day or two if need-be. Remember? You’ve got a built in milk machine! How amazing is that! Because dairy cows are bred to produce so much milk, I wouldn’t want to leave for more than a couple of days for fear of mastitis (it’s a great feeling to completely strip them out of all their milk!). Regardless, we can skip a milking now if something comes up and that’s HUGE. There are most certainly pros and cons to once a day milking, but right now for us, the pros totally outway the cons. Like, totally man. I’m stockin’ up on wonderful pastured butter from elsewhere (instead of making my own for the time being) and have enjoyed the extra time in the gardens during this crazy, bountiful time of year. And by crazy, bountiful… I mostly mean crazy. And by crazy, I mean that I currently have two escaped rabbits and a gangster duck in my garden. Our cow holds back her cream too! We are four months into it with this calf, so we are at the separating stage, we move her at night and then milk her the next morning. 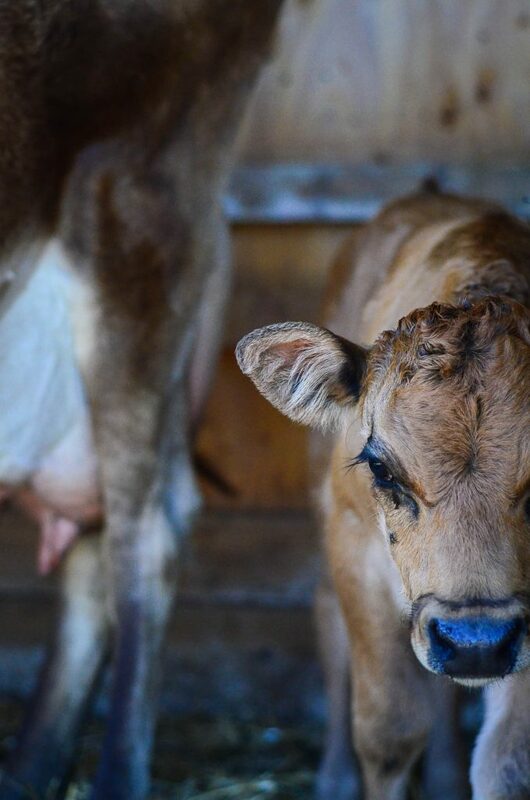 With her last calf we waited to wean him until he was 8 months old, and then realized how much milk she had been holding back too, not just cream, it was like she wasn’t really letting down for us. I don’t know how they do it. Amazing creatures. I appreciated this post I was wondering how you were working it. We were able to keep them together for a couple of months and he left us some milk, then it started to be us getting less and less until one day I got a cup of milk! Time to make a change. She still bawls for him while they are separated, he doesn’t seem to care as much, but she sure doesn’t like it. Thanks! My husband and I want to get a mini cow, maybe even two to avoid the 3 month dry period, how do you deal with it? Do you all just go on a milk fast then, or do you buy elsewhere? 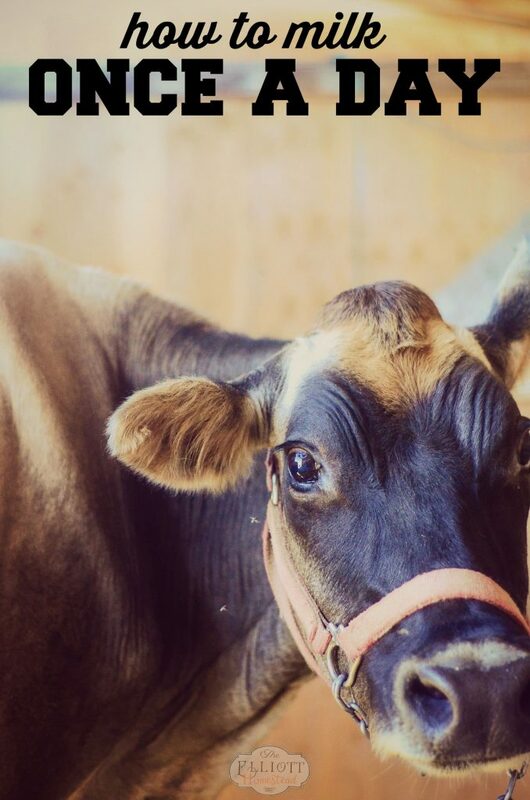 We buy from elsewhere, a local organic, grass-fed, raw milk dairy. I didn’t put a whole lot of thought and how to make this comment… but I’ve Breastfed many babies and one thing I learned is the reason you can breast feed an infant in a toddler at the same time is because the saliva of the baby tells the breast which type of milk to give. Is it possible its the same for the animal? That Lyle is getting more of the cream because of his age? I always found that interesting about random breastfeeding and loved being able to feed both a new baby and my 3 year old without worried that my 3 year old was robbing the new baby of what he needed. Just a thought! I have 3 jersey cows(2 in milk at the moment and the third about to calve) mine are mostly for rearing calves. We can get lots of poddy/ orphaned calves. The calves do so much better on a cow than the bottle. My bessie had 5 calves on her for a couple of months, due to circumstance, rather than choice. I didn’t dare milk her for us then. We moved them along and now she just has 2 big 7 month old calves on her. I’m eaiting for hubby to get some more newborns to graft on her. He is under strict instructions to only get calves with umbilical cords still visible. I can manage to graft them. Any older and its almost impossible for me. They’re too big and strong for me to wrestle. Bessie holds back so much. I milk her with the machine and I can see the bulge in the top of yhe udder. Then when the calves are let out i see it instantly drop. If you taste that milk it is just like pure cream!!! Hhmn. They say that the cow and calf almost have to touch noses for her to let the cream down, so i’m thinking of rearranging my set up to have a pen for he calf/ ves at the front of the stand. As it is i walk the cow away from them to our shed where my mobile machine and stand are. I love my cows and have gone for months not milking them as the calves do the job. I milk weekends and holidays! 😉 every fresh cow gets at least one extra calf popped on. It’s a fine balance between feeding up and number of calves!! My girls get lots of extra feed and hay. Their grocery bill is more than the house’s!!! As i said I love them!! I have two calves Drinking all my butter too! I could take them off her… and Milk twice a day… And I would get my butter… But I choose life!